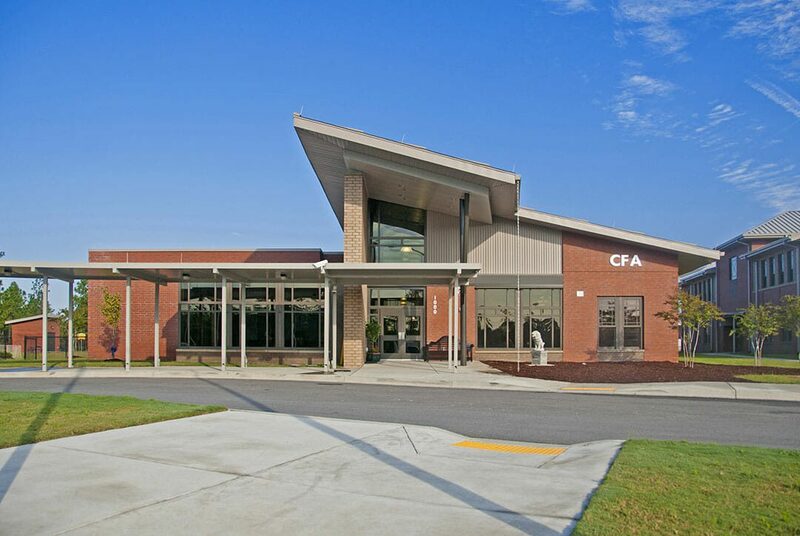 The Center for Achievement is a community-based magnet school built to further the District’s commitment to providing world-class instructional programs that provide optimum learning settings for all students. 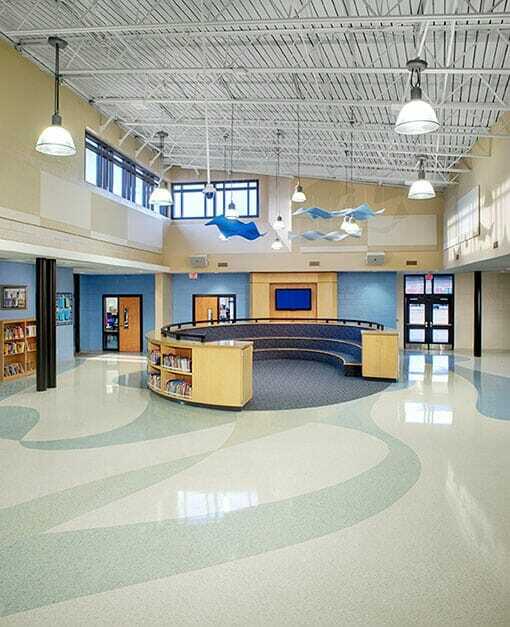 This 20,000 square-foot second through fifth grade elementary program provides students with individual attention and challenging coursework geared to nurture their unique interests. The site development includes a dedicated drop-off lane, play area, and integrated outdoor amphitheater that features an existing pine grove buffer as a natural backdrop. Seeking to nurture communal learning and a strong sense of identity, the Center’s main corridor has been developed as an internal day-lit plaza featuring a reading/seating structure as its focal point. Flanked by grouped classrooms and multi-purpose room, this area serves to greatly enhance flexible teaching opportunities through small group and combined class activities.